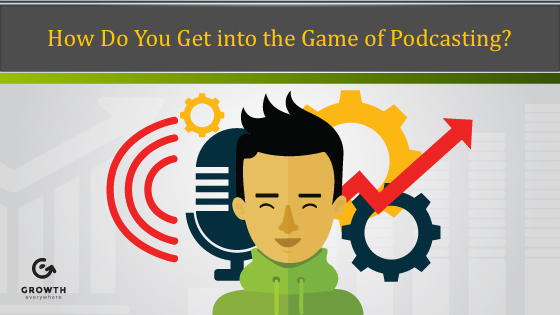 How Do You Get into the Game of Podcasting? We’re seeing the popularity of podcasts grow every year and I think it will just continue to get bigger and bigger. People are listening to more podcasts more often, and talking about their favorites, too. But how do you get into the game of podcasting? The good news is that we’re still in the early stages. Just as blogging blew up over time, podcasting is seeing the same kind of growth. It’s growing at around 17-20% year over year, but it’s nowhere near saturation. For those of you who don’t know, I have two podcasts at the moment. One’s called Growth Everywhere and gets about 120,000 downloads per month. The other is Marketing School and we’re about to break 600,000 downloads per month. We started Marketing School in August 2016, so we have a little experience under our belts when it comes to the world of podcasting. One thing you have to keep in mind when it comes to podcasting is consistency. Just like with blogging, you have to establish a schedule that your audience can get used to. So if you’re doing a weekly show on Mondays, keep it on Mondays at the same time so people know when to tune in. It’s almost like watching a TV show. You want to have it at the same time. As you continue to build up your library over time, don’t be afraid to repost content or old episodes as long as they’re relevant, because not everyone’s going to see your new episodes the first time you post them. It’s the same idea with an email nurture sequence. You want to have your best content available to everyone, because not everyone will see it when you want them to. Granted, someone in your audience might have seen everything you have and therefore might not be happy that you’re repurposing stuff, but for the most part people haven’t seen all your episodes, and if they’re a loyal listener, they’d probably be happy to revisit them. 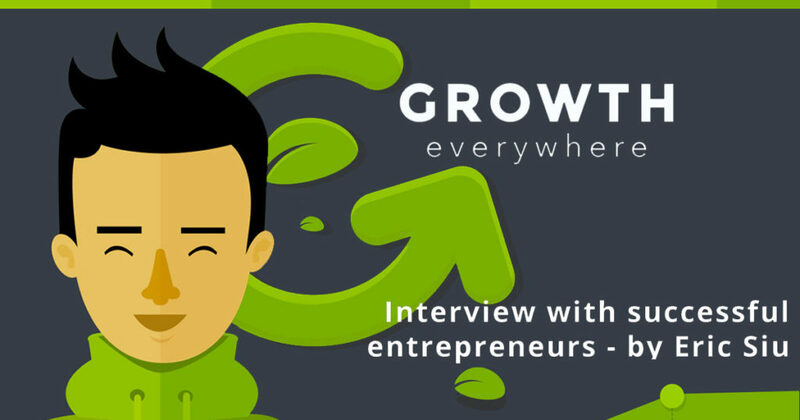 For my interview podcast, Growth Everywhere, we repurpose a lot of content because it just makes sense. A lot of these stories are evergreen, and we’re just trying to get them out there so people can get new ideas. Great stories don’t change. Each episode has at least one takeaway that can really help someone grow their business. Another thing to keep in mind is that you must have great, compulsively clickable titles. Before we do each podcast, Neil and I look through the titles. People give us ideas, and we’ll redo the titles to make them better because we know good headlines are going to get people to click. For Growth Everywhere, I like to include a statistic in my title. I’ll also bounce ideas around with my editor. Finally, we make sure that we email our podcast guest so they can help push it, too. Hopefully they get their team to help promote it, share it on social channels, etc. Let’s say I were to interview someone like Tim Ferriss. He’s got a really big audience, so hopefully he would tweet the episode. Maybe he’d even push it to his email list. When I interview venture capitalists, for example, it’s fantastic because their lists are really big. People get to learn more about Growth Everywhere, and if they hit the Growth Everywhere page, guess what? I’m going to re-target them, and hopefully get them into the funnel. Speaking of marketing funnels, email is incredibly important. You want to make sure that you’re emailing your list. We use a blog RSS feed, which pushes automatically on Sundays for new Marketing School episodes, and on Mondays it pushes new Growth Everywhere episodes. So we have that automated, and it helps tremendously. Paid ads are really helpful, too. Russell Brunson has a site called Marketing In Your Car with a free MP3 plus shipping offer. Basically, he’s giving away this MP3 player with all his podcast episodes on there, and it’s been hugely successful in generating subscribers. He gets people into his funnel that will come back and buy actual products. He’s very profitable on the front end on that funnel, and it’s working really, really well for him. I bring up Russell because, as with any type of marketing, it’s good to see what other people are doing, and see whether you can make it work for yourself. You could play around with the giveaway requirements, but just choose one goal. I’d recommend choosing one for each giveaway that you do. For a lot of these SaaS companies, the cost of giving away a piece of software is almost negligible, especially when they’re getting a ton of exposure in return. So for them to get that kind of publicity, it’s definitely worth giving away a product. Then you’ve set yourself up for a cross-promotional relationship. Ok, let’s say I get Tim Ferriss on my podcast. Maybe he gets me on his. Being able to cross promote and build relationships with other people, as well as build or engage social communities and create hype, is very important. If you’re doing a marketing podcast like mine, you can go to Inbound, you can go to GrowthHackers. You can even find Slack groups. There are a lot of different ways that can be effective. If you need some ideas about getting people to interview, check out this podcast episode that Neil and I did called How to Find Relevant Guests for Your Podcast. 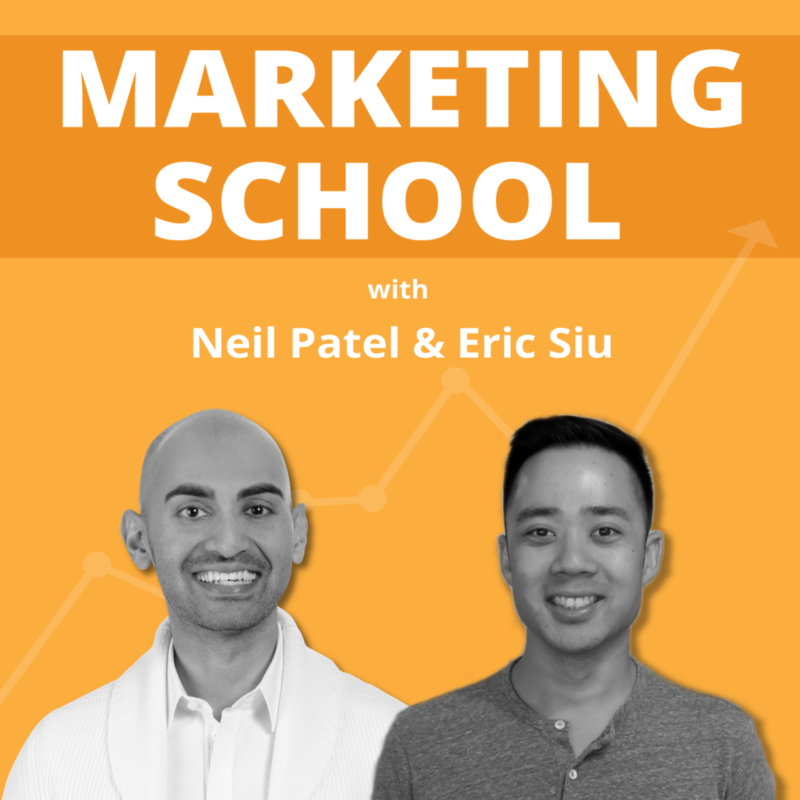 We’re hoping to get our podcast to two million total downloads per month for Marketing School. And for Growth Everywhere, hopefully we can hit 250,000 per month by the end of this year. If you want to learn even more about how to start a podcast, check out this blog post. When Business Growth Stalls: Persevere or Give Up?